It’s all about the Benjamins! With tons of clothing, accessories and housewares priced under $100, it shouldn’t be too overwhelming to find moderately-priced gifts that fit your budget. If you’re drawing a complete blank, just gain a little inspiration with some of the items listed below – all priced under a hundred dollars. Just let it all hang out! 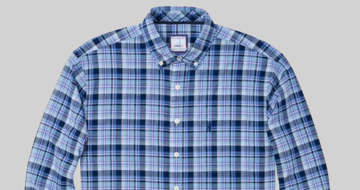 A tapered, clean cut provides just the right amount of casual convenience that eliminates the need for a man to ‘tuck in’ this signature-buttoned shirt. Designer bling makes heads turn! Gift this versatile trio of leather bracelets adorned with Swarovski crystals, which shine beautifully both on their own or worn together. Who says your traveling partner can’t be stylish and organized at the same time? Add that extra personal touch by including their initials on this beautiful leather. We guarantee this gift will be their go-to toiletry bag in 2018. The Mr. in your life is all set for the weekend with this travel-ready trio of matching boxer briefs, socks and no-show footies. A washable garment bag is also included. 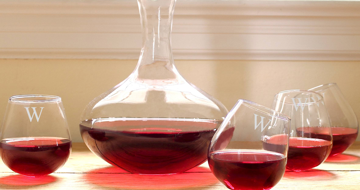 It’s the wine gift that keeps on giving (and giving). 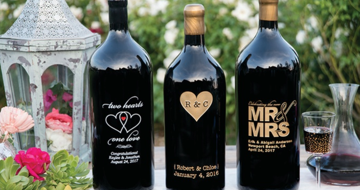 Serving as a huge reminder of special events, these hand-etched bottles are decorated with striking designs, emblems, text and other details. Shake the family tree a little! 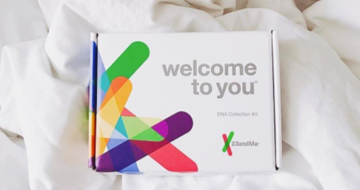 This mail-in kit taps into the surprises that DNA reveals by giving a voice to the 23 pairs of chromosomes that make individuals their unique selves. 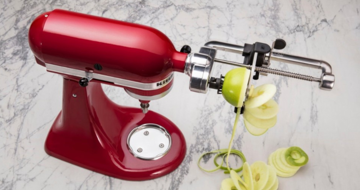 Make it easier for a health nut to embrace their low-carb life with a KitchenAid attachment gift that peels apples with ease and transforms zucchini into zoodle lo mein. 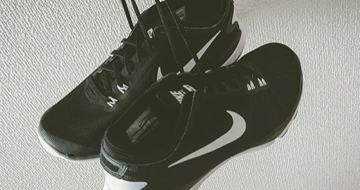 Help someone put their best foot forward and crush their New Year’s resolutions with a pair of lightweight trainers equipped with an ultra-flexible outsole. Time to bring out the 45s! 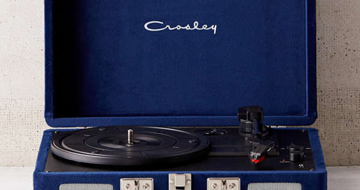 This vintage-inspired turntable is an exclusive gift item that reverbs with sophistication, and lets a music lover play their vinyl LPs in style. Budget shoppers seeking gifts delivering just a little more ‘umph‘ in the presentation department often tow the $50-line. 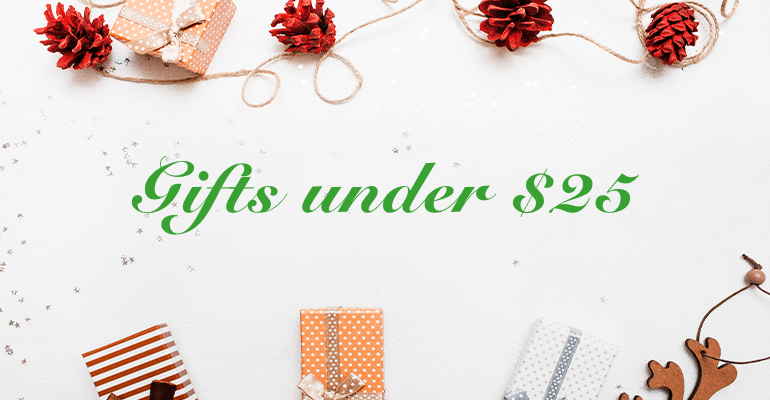 An app-happy electronics gift for less than fifty dollars? Yes, please! Clothing, accessories and home goods that don’t break the bank? Hello! Browse the following suggestions to see the kinds of options that belong in the under 50 club. Help clear some shelf space! 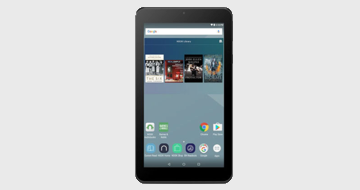 This book lover’s gift keeps bestsellers close by via a portable library of favorite reads that delivers full access to Android apps from the Google Play Store. 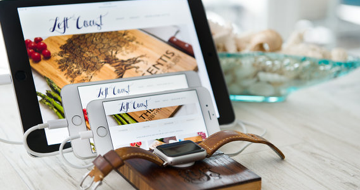 Say ‘goodbye’ to a jumble of cords and gift a stylish solution for owners of Apple products. This handcrafted, eco-friendly docking station includes an impressive, custom monogram. 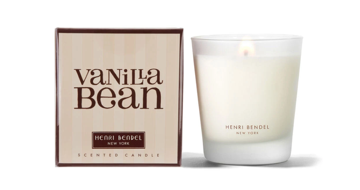 Who doesn’t like the sweet-smelling scent of vanilla with hints of jasmine and patchouli? This candle makes an excellent romantic gift – perfect for filling a room with the fragrance of sensuality. Don’t let heavy material get in the way of an intense workout; this lightweight hoodie is just what runners, gym rats, and athletes need to stay quick on their feet. 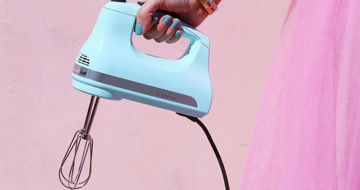 Available in a handful of vibrantly trendy colors, brighten up a kitchen with a gift that stylishly brings baked goods, mashed potatoes and Sunday morning pancakes to life. 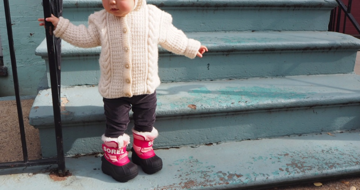 Toddlers should be able to build a snowman without fear of frostbite, making a pair of these ‘pretty in pink’ Sorel boots an ideal gift for keeping little feet and toes warm and dry. 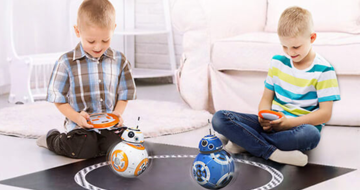 Where geeky parents see an R2-D2/Pokemon Ball mashup, the over 8-year-old crowd will pay attention to this battery-operated toy’s entertaining dance moves and colorful, flashing lights. Holiday shopping destroys the best of budgets; but don’t worry; you don’t have to skimp on quality or settle for bottom-of-the-barrel clearance to find affordably fun gifts. Shop some of our picks below to get deals worthy of your hard-earned cash and still feel good about your purchases at the end of the day. 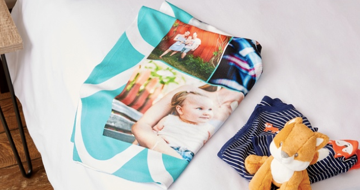 Warm bodies and hearts with an exclusive blanket featuring everyone’s favorite photos. Surprise new parents, student athletes, college kids, Grandma and Grandpa with this personalized gift. In the woods or from the top of a mountain, coffee breaks know no limits. Gift this campfire-style mug for family and friends who are constantly seeking the next great adventure. 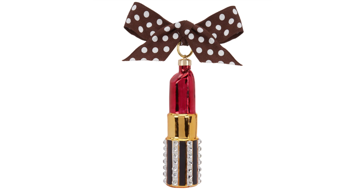 Add a splash of ‘fabulous’ to a holiday tree with the perfect shade of Christmas ornament decorated with eye-catching bling and a sweet polka dot bow. Spend more time building an empire and less time counting your cash. 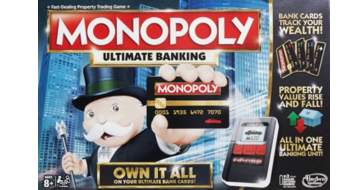 This Monopoly version offers ‘touch’ technology that speeds up games and gives instant gratification on transactions. 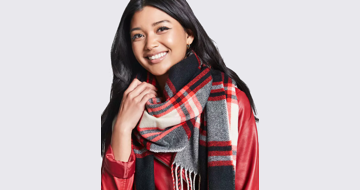 Make sure loved ones brave the chill of winter in style – by gifting a warm, open-knit scarf patterned with striped perfection. Shopping for a Star Wars fan? 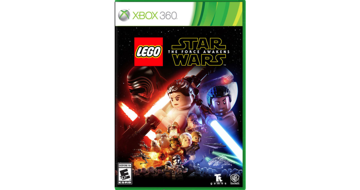 This gift allows them to battle alongside iconic LEGO characters as they retell the exciting exploits of The Clone Wars and/or The Force Awakens. 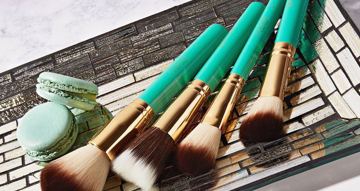 Gift a brightly colored brush set that helps illuminate the eyes and face of your favorite makeup queen with ultra-soft quality and precision color placement. No, it’s not a countertop! 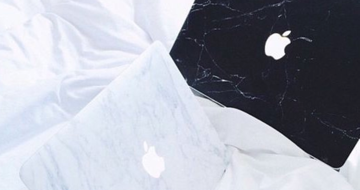 But, this gift is sure to elevate the look of a laptop with a skin that provides some serious, eye-catching detail.